Britain's top 10 best restaurants to get a pie! TripAdvisor has sunk their teeth into a meaty challenge - uncovering the 10 greatest restaurants to get a pie! While the rundown was linked to British Pie Week (the first week in March), eating establishments this good shouldn't be overlooked for the rest of the year. 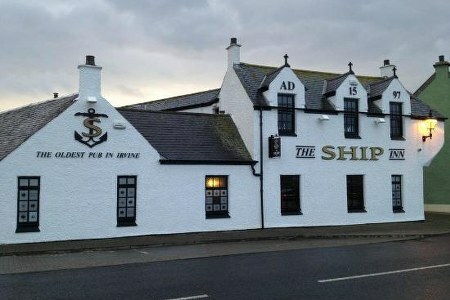 In at number 10 and claiming to be the oldest pub in Irvine, The Ship Inn opened in 1754 and offers home cooked British food including a selection of hearty pies.